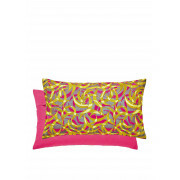 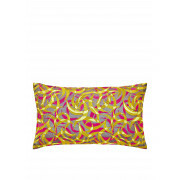 Stunning pillow c by Clarissa Hulse, created with tones of hot pink and yellows. 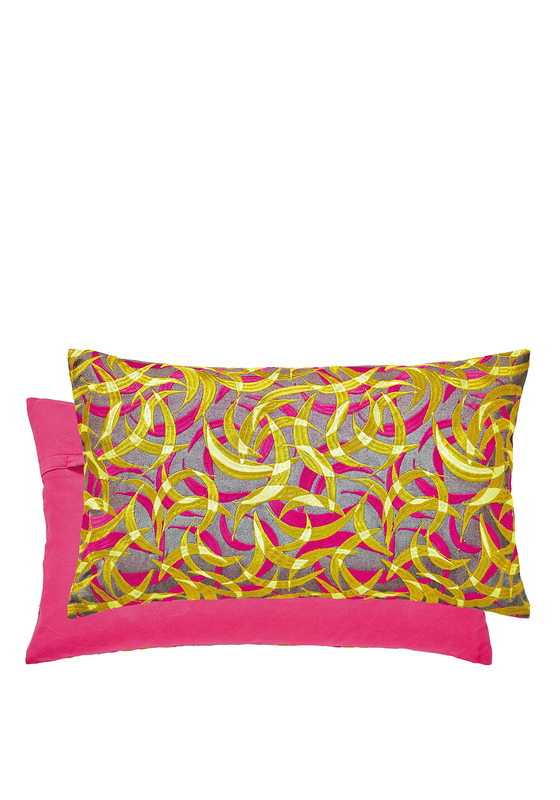 This pillow is embroidered with crescent shaped leaves. 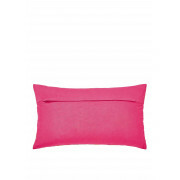 This cushion measures at 30 X 50 cm.